Enjoy smoother, tighter, younger looking skin – Again! Soften and smooth lines and wrinkles with our anti-ageing injections. Great results with minimal downtime. If you are looking to rejuvenate your facial appearance with little or no downtime, lasers offer some of the most advanced treatment options. Loose skin, fine wrinkles, dull skin, age spots, sun damage, and more can all be addressed with laser treatments. Read More. At Define Laser & Cosmetic Clinic we specialise in a variety of cosmetic injectables and dermal fillers designed to help smooth wrinkles, restore lost volume, and reduce the signs of ageing in the face, neck, and hands. Bringing you skincare treatments that are customised to make you look better than ever, Define Laser & Cosmetic Clinic’s highly personalised approach gives your skin exactly what it needs to effectively help solve all skin problems for both women and men. Read More. 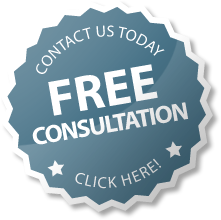 Book your initial complimentary consultation now to discuss a treatment plan. Our Laser hair removal techniques give you that fresh out of the shower feeling ensuring your skin feels silky smooth permanently. Define Laser and Cosmetic Clinic offer you the latest Laser for the removal of unwanted hair. Serious skincare does not need to be difficult or time consuming. Aspect Dr provides the results that our clients’s expect through a simple, concise regimen. This is achieved through the use of active multi-ingredient serums targeted towards skin care concerns with a goal to normalise and address the cause of the concern, not just cover the outward symptoms. Whether addressing a slight imperfection, sun damage, redness, or fine lines, Aspect Dr restores a youthful, glowing complexion with a concise line of product sold exclusively through medical professionals. We also have a great range of Mineral based cosmetics, to provide sun protection and keep you looking great. Awesome cosmetic clinic, the staff are all friendly and the service is always excellent!